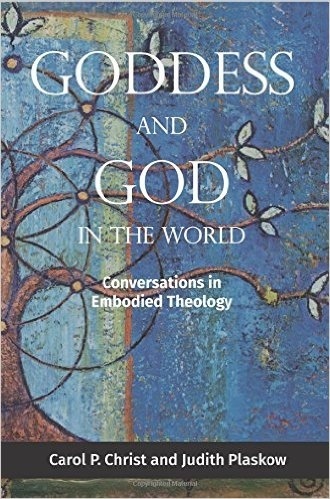 Goddess and God in the World: Conversations in Embodied Theology is a joint project of feminist theologians and longtime friends Carol P. Christ and Judith Plaskow that emerged from their realizing that they disagree on the nature of divinity. Differing on such a major theological topic came as a surprise to them after having worked together for so many years. 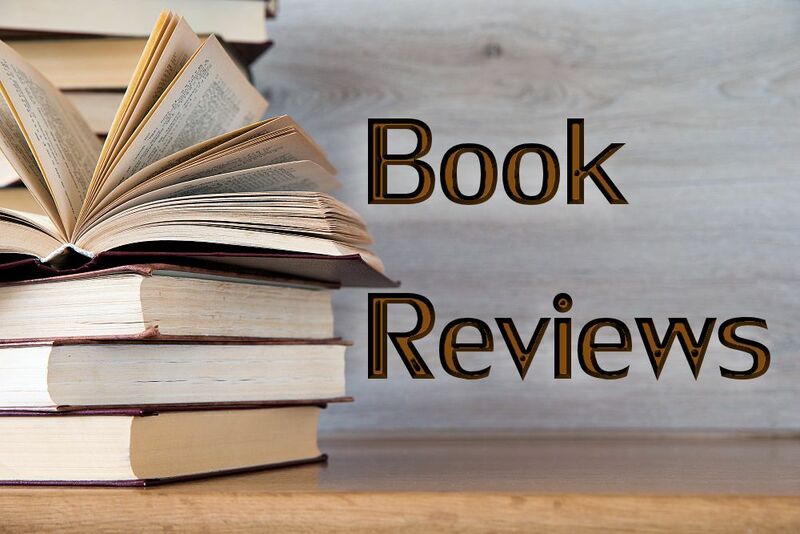 Though perhaps only suggested by the subtitle, the method used to create the book is as significant as its content, and the reader is able to enjoy both aspects. By the authors’ definition, the embodied dimension arises from their firm grounding of their theological views in their particular life experiences, and it’s uniquely effective. The book invites us to ponder these matters along with them in light of our own lives. In alternating chapters, Part One interweaves Christ’s and Plaskow’s personal histories along with two background chapters on God in the history of theology and the development of feminism theology, all of it clearly written, inviting and accessible to the nonacademic reader. It’s inspiring and consoling to learn in detail about the lives of these two pioneering scholars of feminism and theology. Christ is from California and grew up attending various Protestant churches. 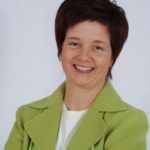 Loving relationships with both of her grandmothers and their shared experiences in nature created a lasting influence. Her early years were also marked by the death of a baby brother and deaths of several extended family members in close proximity. Plaskow is Jewish and grew up in New York attending a Reform congregation. Formed by the annual cycle of liturgy and holidays and the Torah, from a young age she was interested in religious matters. In adolescence, reading about the Holocaust proved an important awakening. Christ and Plaskow met in graduate school at Yale and bonded quickly as women in a male-dominated environment. Both remark on the sustaining nature of their friendship in that challenging setting. Over the course of several more alternating chapters, they describe choices they made, events that occurred, and the evolution of their spiritual beliefs and practices. They reflect not only on experiences but also the emergence of their own writings, along with texts and teachers that impacted them, from the oppressive to the uplifting. The deep questions that drove both their academic work and their spiritual quests provide the narrative’s unifying theme. Christ ultimately left Christianity and eventually academia and pursues Goddess theology and practice. Plaskow explored many avenues through feminism but values a continued connection to Judaism for its communal and historical aspects. Their lives took different directions, but they remain close collaborators and have coauthored and coedited numerous publications. In Part Two, the authors alternately respond to one another’s ideas. They have two major differences. Plaskow views divinity as an impersonal creative power, while Christ thinks of it as an individual who cares about and loves the world. Second, Christ regards divinity as intelligent, loving, and good, while Plaskow sees it as encompassing all that is, including and supporting both good and evil. The subject matter is substantive and reading along is like sitting in on an extended discussion. The questions are compelling. How to explain the presence of evil? Is Goddess or God to be found outside the world or in it? One of the book’s major contributions is its model of engaging, respectful dialogue. The approach of genuine curiosity in posing questions to each other and offering challenging comments back makes a heartening contrast to so much current public discourse, particularly because they are friends. Often disagreements with those we are close to create the most difficulty, but Christ and Plaskow wade all the way through it, ultimately affirming the major areas where they do agree. Personally as a reader, I found myself continually moved by this book. The authors’ candid reflections on their lives and the various influences on them, set so effectively in historical context, allowed me to place myself within the continuum. The narrative’s long arc provided an appreciation of the ebbs and flows that occur in professional and spiritual life. One of Plaskow’s observations evoked an important personal epiphany. She noted that when she left Yale her image of God remained intact but “unbeknownst to me, was being quietly eroded by new ideas and experiences. It remained the case that throughout the decade after I became a feminist that my intellectual explorations ran far ahead of my capacity to fully integrate the ideas I was studying and advocating” (p. 108). Suddenly my own recent exodus from the Catholic Church into a more embodied, creation-centered practice made sense. I felt as though I’d made an abrupt about-face, but really it was the culmination of years of exploration. This insight consoles me greatly in the transition of leaving behind a beloved community.